If extreme weather and operating conditions are proving to be a problem, then Cusco’s Duravac series is the way to go. This unit is specifically engineered with heated valves and heavy-duty construction for off-road applications in the oil and gas fields, and is equipped with a low maintenance tri-lobe positive displacement blower ranging from 1,400 CFM to 2,100 CFM and producing 28″ Hg. With these features, the Duravac provides the perfect combination for superior performance and reliability, even in the harshest environments. 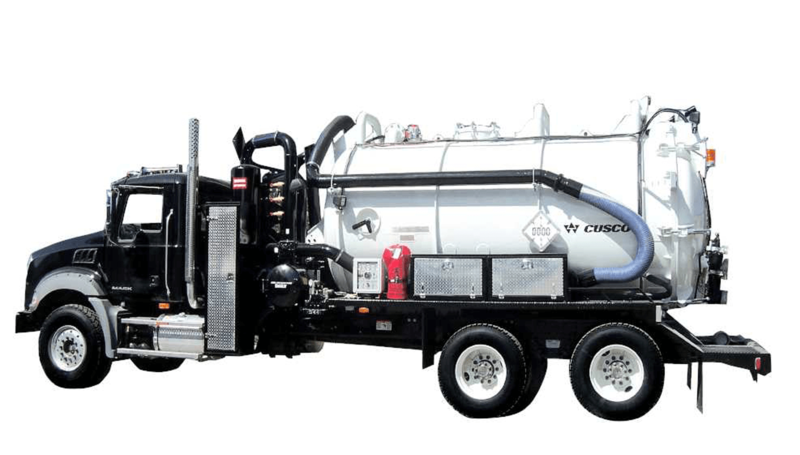 Available Options: High-pressure wash system, stainless steel tank construction, hydraulic suction boom, storage cabinets/stand up lockers, DOT 407/412 and TC 407/412 configuration.